The field of biotechnology has provided us with radical revisions and reappraisals of the nature and possibilities of our biological existence. Yet beyond its immediate utility, does a life that is healthier, longer, or freer from disease make us 'better' or more moral people? Bioscience and the Good Life explores the complex relationship between modern biosciences and human flourishing, their sympathies and schisms, and the instances of their reconciliation. Here cognitive enhancement, longevity, and the spectacle of excellence in sports, are examined within the context of what constitutes a life well lived. 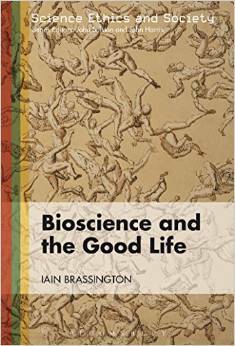 Framing biotechnological innovation in the discourse of duty and ethics, Brassington advances an insightful and involved response to the existing debates between bioscientific optimists and pessimists, one which mediates their differences, and expands the traditional scope of their arguments. Matthew A. Russell is a computer scientist who currently lives in Franklin, TN. Hacking and writing are two activities essential to his renaissance man regimen.